Not too long ago i decided to pick up some mastersound hats. I loved the way they sounded at guitar center. They had a really nice wash with some decent definition. when i got home i thought that they sounded a bit different. The definition seemed to be lost a bit and i'm getting this overtone that makes me cringe. I assumed this was due to the fact that i was in a different room. I played with them on a couple gigs and still didnt exactly love the sound. The other day i went back to GC and was jammin this starclassic bubinga that had the same hats. They sounded freakin sweet again! What in the world is going on here?! The only thing i can think of, is that it may have something to do with my hi-hat stand. I'm not even sure that's the issue either. I'm pretty sure i know how to setup an HH stand properly. it's most likely the room. that high ring overtone can be caused by having the pedal clamped too tightly...let off just a tiny bit and you may find that you like your hats a lot more. my 14" paiste 2002 soundedge hihats did the same thing. that was the solution I found. I think the Mastersounds are over-rated, the A custom hi-hats sound way better. 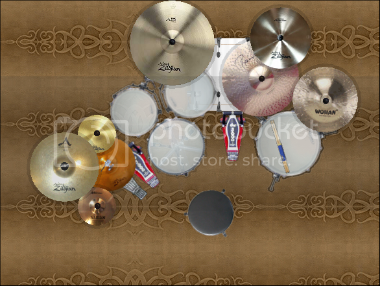 wmpdrummer13 wrote: I think the Mastersounds are over-rated, the A custom hi-hats sound way better. right thats why I stated that "I THINK"
It's most likely one or more of the aforementioned problems (the room, pedal pressure, etc). Try remedying the room problem by doing some basic acoustic arrangements, and you can always tweak the clamp tension around to your liking. If you get them set up right, they really are some nice all-around hats. Different settings on your HH stand and different stands can have an effect on the sound and feel of the HH. Tighter or looser top cymbal adjustment, spring tension adjustment, thickness or thinness of the post, and room acoustics, can all be a factor. i have a pair A custom Mastersounds as well as a pair of K/Z hats. What everyone's said is basically "right". What room you're in, hi-hat settings, sticks, playing style, etc. I will throw my 2 cents in. The A custom mastersound hats sound tremendous for rock music in the studio, but again, that can depend on mics, placement, and the engineer. We recorded a 2 song demo (and an EP but that was before the demo and a different engineer) and those hats really just have a beautiful washy sound and crisp closed hat sound. I most definitely love them. But again, it depends on the room you're in and frankly...a TON of different factors. I'm with anavrin. you might be pressing too hard on your pedal. with that being said, when i upgraded to a dw 9000 stand and it sounded a lot better. I play on the 13" A mastersound hats and they are really sweet. They are awesome for jazz, latin, funk and pop. they are crisp, light and clean. Really cool hats.